1 out of 5 children has a vision issue! See how the Spot Vision Screener can help identify and reduce some of the leading causes of vision disorders in children. The Spot Vision Screener is a handheld, portable device designed to help users quickly and easily detect vision issues on patients from 6 months of age through adult. Spot screens both eyes at once from a nonthreatening 3-foot distance. The touchscreen display allows for one-touch activation, simple management of patient data entry and easy configuration for vision screening applications. 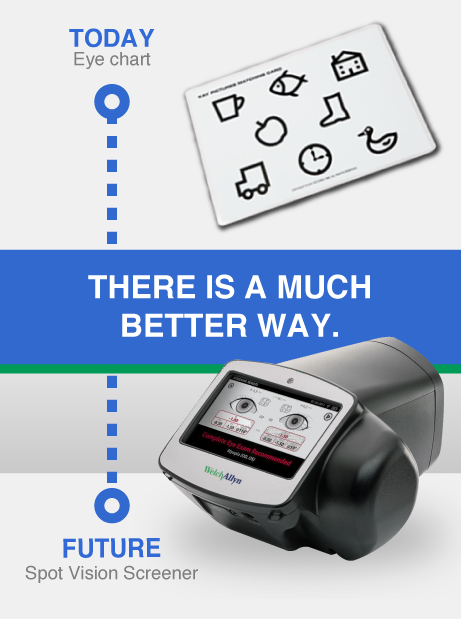 Evidence shows that using the Spot Vision Screener can help to dramatically reduce the time required to test vision compared to traditional screening tools. Watch as Hero Chelsea Elliott uses the Welch Allyn Spot Vision Screener to provide children with free vision screenings. 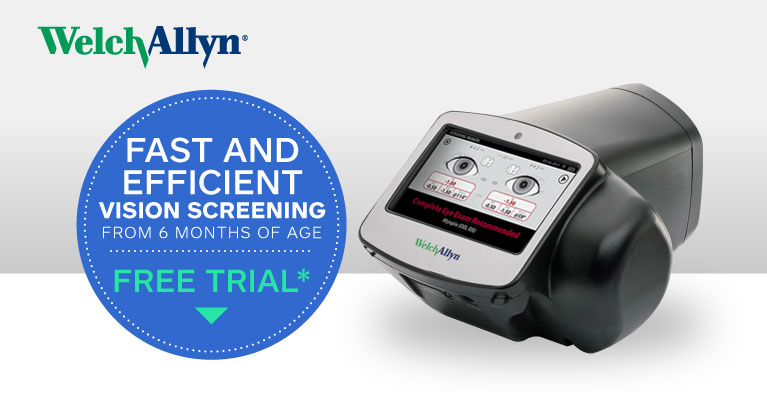 See how using Welch Allyn Spot Vision Screener has a positive impact on children, families and physicians. *Trial devices subject to availability. 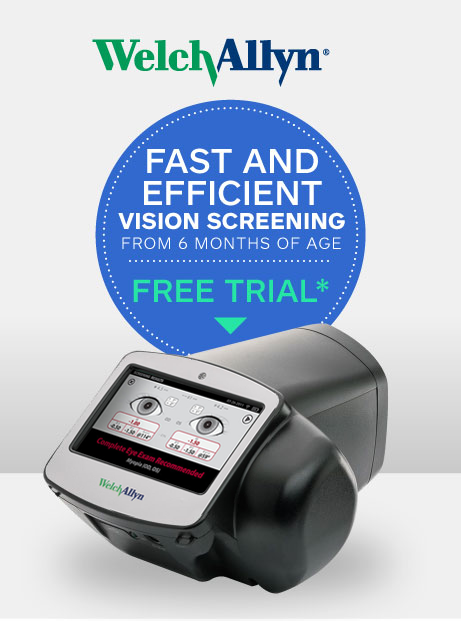 Thank you for requesting a free trial of the Spot Vision Screener. A Welch Allyn representative will be in touch shortly to assist you.